Sabrina Spellman's dramatic decision in the season finale of The Chilling Adventures of Sabrina may have shocked and dismayed some viewers. Sabrina Spellman is always going to surprise you. The teen witch at the heart of Netflix’s new Chilling Adventures of Sabrina series is a fearless do-gooder and champion of the oppressed who’ll do whatever it takes to do the right thing. Including sometimes, maybe doing the wrong thing? The question of how far you should go to right a wrong is a recurring theme throughout the series. But her boldest move yet came in the final minutes of the Season 1 finale. Madam Satan ultimately forces Sabrina to make a choice in the season 1 finale: leave her friends to be slaughtered by the vengeful ghosts of thirteen hanged witches and their summoned Angel of Death; or sign the book and receive her full powers, allowing her to save her friends, but turning her into Satan’s servant. Sabrina chooses the latter. It’s quite a surprise after she spent all season fighting tirelessly for her free will and way to bridge the gap between her mortal and witch life. What’s more, Sabrina effectively severs her ties with the mortal world, gets herself a snazzy new hairdo and a gothy makeover. 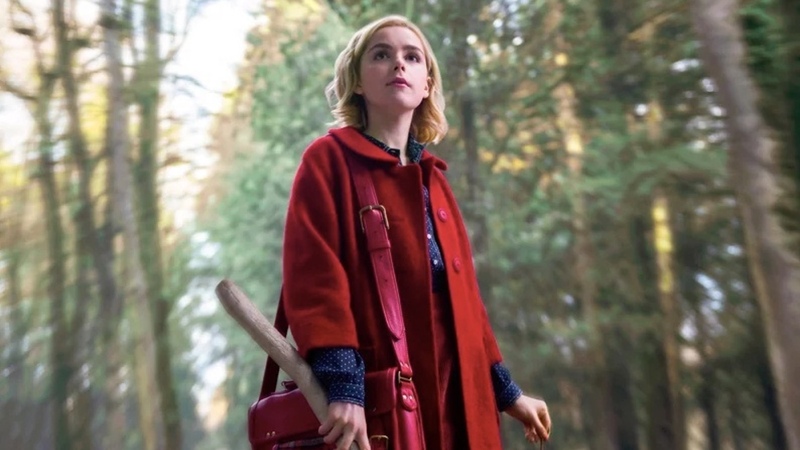 It seems, in many ways, like she’s turning her back on all the things she fought for, but not according to actress Kiernan Shipka, who explains that Sabrina’s surprising finale decision marks a major change in her life but it’s actually an act of empowerment. “We are going to see a big change,” Shipka told The Hollywood Reporter. “It is so significant, but it’s not Sabrina resigning. It’s Sabrina taking on a bigger, greater challenge because she has an agenda.” Remember, Sabrina has always said she wants to use her powers to trick Satan himself, and as we saw in the finale those powers are really something. After she signs her name in Satan’s book, Sabrina conjures hellfire — one of only four witches ever to do so according to the series — and incinerates the Greendale Thirteen without breaking a sweat. Chilling Adventures of Sabrina is now streaming on Netflix and has already been renewed for a second season. "I didn't go to film school, I went to films." - somewhere obscure on the internet.